Walk-in(s) are welcome for Threading Services. 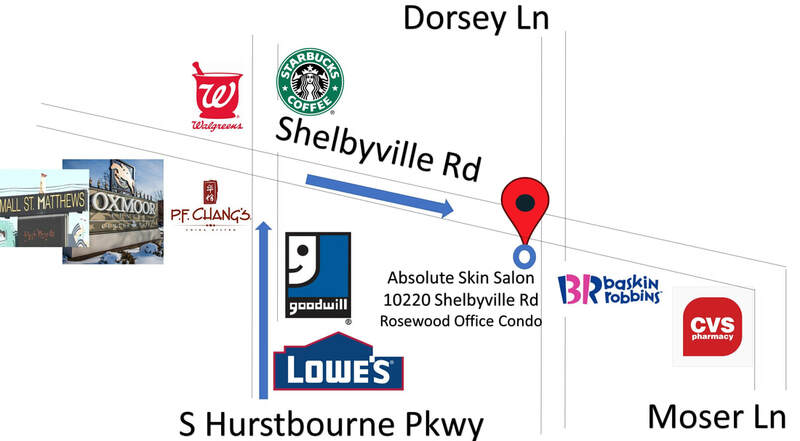 Absolute Skin Salon & Spa is a full service, conveniently located near intersection of Shelbyville Rd and Dorsey Ln, in Rosewood Condominiums at Louisville KY(Direction: Google Map). We are offering long list of beauty services that includes Threading Services(Eyebrow Threading, Face Threading), Eye Lash Extensions, Variety of Facials, Variety of Waxing Services, Variety of Hair Services, Hair coloring, Styling — weddings, proms, up-dos, blowouts , Perms, Manicures, Pedicures. What is Threading? Why Threading better? At Absolute Skin Salon, you will experience will be exhilarating, with modern day technology and techniques, infused with a traditional salon experience. Come see why we are the most well-known full service salon & threading spa in Louisville-KY.